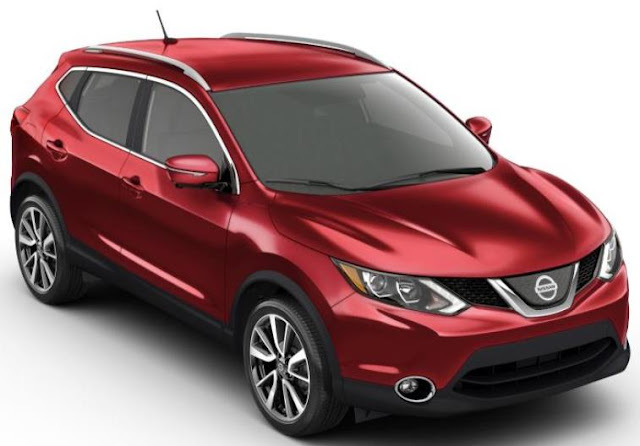 The 2019 Nissan Rogue Sport, powered by a 141-horsepower 2.0-liter DOHC 16-valve inline 4-cylinder engine, Xtronic transmission with Eco Mode switch and a 4-wheel independent suspension, starts at $23,235 (including $995 destination and handling). ProPILOT Assist, a single-lane “hands-on” driving assistance technology that eases driver workload by reducing the amount of driver acceleration, steering and braking input under certain driving conditions, such as single-lane highway driving, is standard on the 2019 Rogue Sport SL grade and optionally available on the Rogue Sport SV. Nissan Safety Shield 360 which includes Automatic Emergency Braking with Pedestrian Detection, Rear Automatic Braking, Lane Departure Warning, radar-based Blind Spot Warning, Rear Cross Traffic Alert and High Beam Assist is also standard on Rogue Sport SV and SL grades. Nissan's Rear Door Alert system is now standard on all grade levels.